The Biology Department at Anoka-Ramsey Community College offers a variety of courses, ranging from Principles of Biology to Genetics and General Ecology for the Minnesota Transfer Curriculum (MnTC) and general education, and in preparation for allied health fields and transfer to Biology major programs, such as pre-med and pre-vet, at four-year institutions. The Biology Department's well-qualified faculty has diverse experience in the biological sciences. Students interested in the natural sciences can work in the department's greenhouse, study the large collection of preserved plant specimens at the Russell W. Johnson Herbarium, and explore over 10 acres of on campus prairie and the nearby Spirit River Nature Area. Two state-of-the-art smart laboratory classrooms with seating for 24 students each, student computers, large projection screens, document cameras, numerous models and demos for all classes, microscopes, probeware, high-tech lab equipment and much more. A greenhouse for student projects. The Russell W. Johnson Herbarium that contains a large collection of preserved plant specimens that provide students and the public tools to enhance in their understanding of plants and natural history. Two state-of-the-art smart lecture classrooms with large projection screens, document cameras, and ample seating. Four state-of-the-art smart laboratory classrooms with seating for 24 students each, student computers, large projection screens, document cameras, numerous models and demos for all classes, microscopes, genetic and microbiology high-tech lab equipment, and much more. a greenhouse filled with various native and tropical species with a native prairie plot garden located just outside. a 26-acre Natural Area with a large closed-canopy forest , five acre restored prairie area and multiple tree and animal species including a fox den. The Biology Department offers several undergraduate research opportunities. Students in Instructor Kristen Genet’s Biology classes became citizen scientists in the spring, when they conducted real-world research for Gorongosa National Park in Mozambique. Anoka-Ramsey Community College Biology student, Vladimir Petrenko was selected to be the only undergraduate co-author in a paper on epigenetic research, published by Oxford Academic in the Journal of Heredity in February. 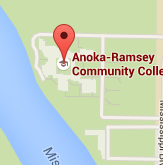 "Anoka-Ramsey has so many resources and the instructors are very helpful. The majority of my instructors were great but the one that sticks out the most is Jennifer Braido. She’s awesome and helpful." 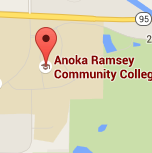 "The value of education received at Anoka-Ramsey is incomparable. As an adult learner with a family and financial obligations, I absolutely would not have been able to accomplish my ultimate goal of becoming a physician had it not been for my experience at Anoka-Ramsey."